Are you ready to experience the cycling holiday of a lifetime on the central coast of Portugal? Mark your calendars now… because in September of 2019, I will be participating in The Silver Coast Bike Tour with Top Bike Tours Portugal… and you’re invited to join me on the trip! This is your opportunity to travel with me, Darren Alff (the Bicycle Touring Pro), on an incredible bicycle touring holiday in Portugal!!! Together we’ll ride our bicycles from the scenic city of Porto in northern Portugal to the famous city of Coimbra, which is Portugal’s third-largest city. Along the way we’ll cycle down the coast each day, stay in high-end resort hotels, eat delicious Portuguese cuisine, interact with the local people and experience to joy of traveling with like-minded people from all around the world. This is not my first bike tour in Portugal, nor is it my first bike tour with Top Bike Tours Portugal (previously known as Fold N’ Visit Cycling Holidays). In May of 2018 I participated in The Way of St. James Bike Tour with Top Bike Tours Portugal… and this week-long bicycle touring holiday in northern Portugal and Spain turned out to be one of the best guided bike tours I have participated in anywhere in the world. The tour guides were incredible, the landscapes were superb, the accommodations were immaculate and the meals were exceptionally delicious. I liked my experience on The Way of St. James Bike Tour so much that I decided to come back to Portugal again in 2019 and participate in yet another bicycle tour with Top Bike Tours Portugal. 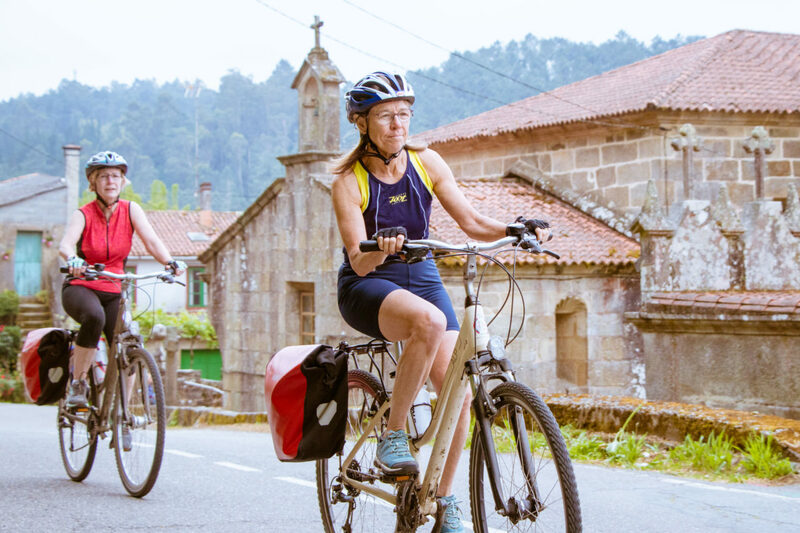 So, this time around, I’ll be participating in The Silver Coast Bike Tour with Top Bike Tours Portugal… and on this bike tour we’ll cycle through a slightly different part of Portugal – a stretch of coastline that runs from the city of Porto (in the north) to the city of Coimbra in the center of the country. 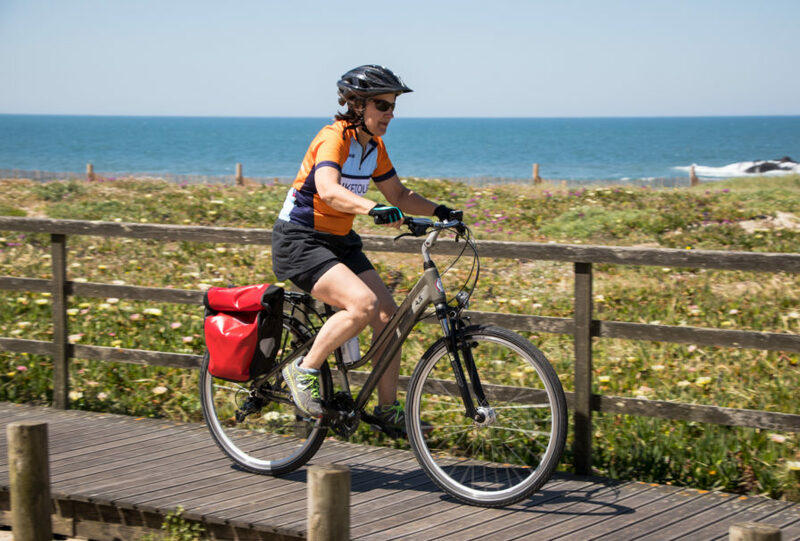 This is an easy to moderately difficult bike tour along the western coast of Portugal and Spain that almost anyone with a decent amount of cycling experience can complete. This is a guided, group bike tour that would be great to do alone, with a friend, a loved one, or a small group. 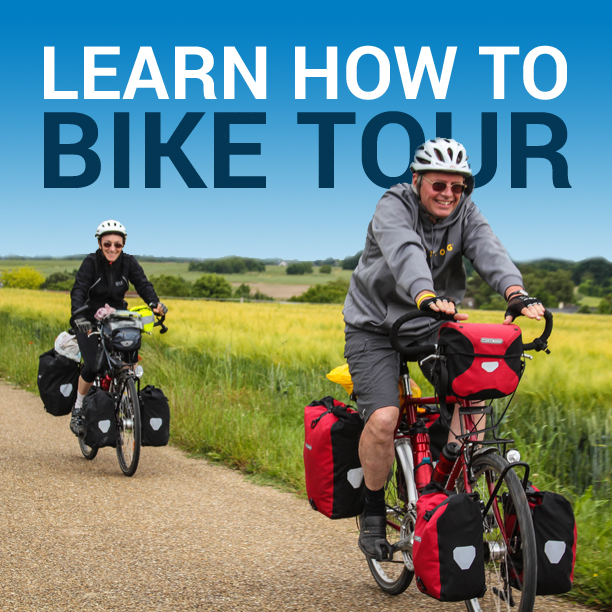 Please note that while I (Darren Alff – the Bicycle Touring Pro) will be participating in this group bike tour with you, I will NOT be leading the tour. 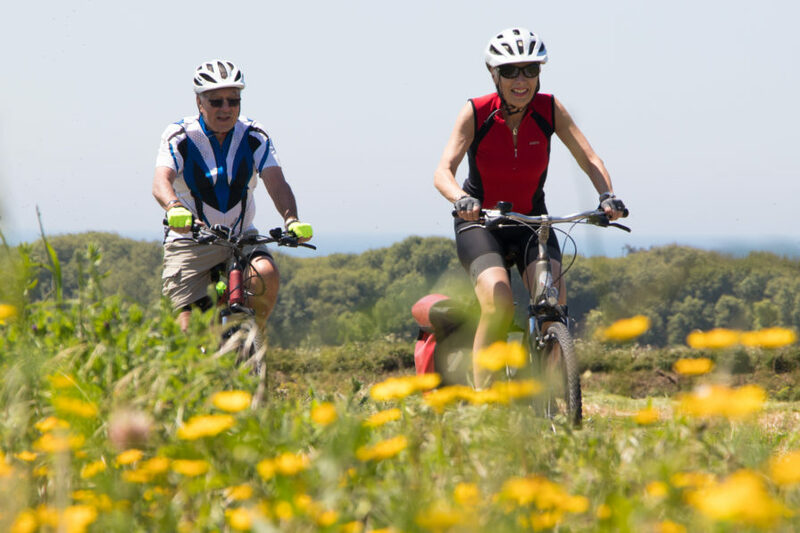 This is an organized group bike tour led by a local Portuguese tour company called Top Bike Tours Portugal. I will simply be another tour participant on this week-long bike tour. * Lunches and dinners will be organized by the tour company at local restaurants along the route, but you will be required to pay for whatever you order. The following itinerary was taken directly from the Top Bike Tours Portugal website. After you arrive in Porto, Portugal, it’s almost obligatory to get to know the city of Porto, which is classified as a World Heritage and Capital of Culture and Tourism. Join us on a city tour (bike or walk) in the City Centre and discover a huge amount of heritage, from the Middle Ages to the beginning of the 20th Century. Meet famous and well-known hot spots, such as the bookstore that influenced J.K. Rowling’s Harry Potter, the magnificent Stock Exchange Market, blue and white tiled churches and much more. Art, heritage and traditions are meant to be found and seen during this short city tour. On this first day of cycling, you will make out of Porto, along the coast and toward the small village of Furadouro. Leaving Porto, you will cross the city center of Porto, heading toward the river through one of the most famous bridges in Portugal. After crossing the Don Luis I bridge, you will enter the city of Vila Nova de Gaia, where you can observe the famous cellars of Porto wine. During this journey you will observe one of the most important icons, the chapel of Senhor da Pedra located in Miramar Beach. 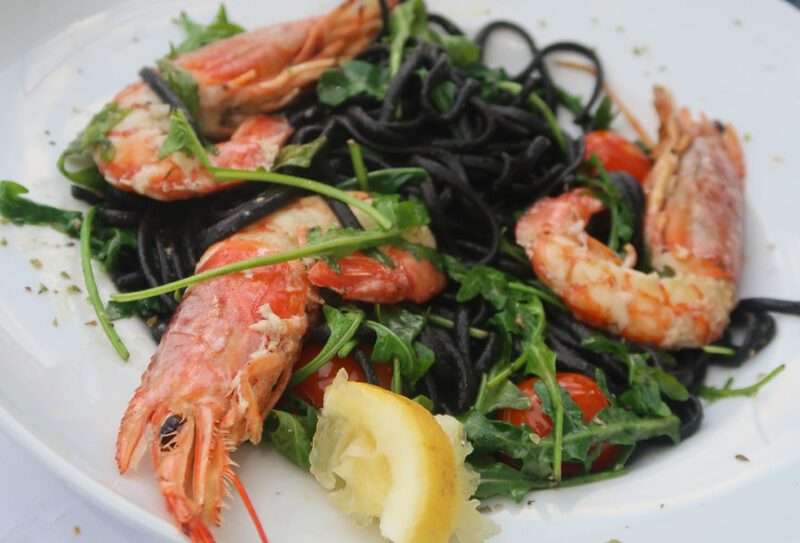 When you arrive in the the city of Espinho, which is famous for its fresh fish, you will have a chance to taste the various fish dishes. Arriving in the city of Ovar, there is the opportunity to taste the famous bread-cake of Ovar – the highlight for tourists with a tradition of more than two centuries, and the convent sweets. Being a fishing ground can still taste the famous stews of fish or eels. You will have the opportunity to see the famous Chapel of the Steps, which is classified as a National Interest Monument. You can see over the city several tiles, and that’s why the city of Ovar be considered the city’s “Tile Museum”. Starting the 3rd day continue the path along the coast, on the road N327, towards the city of Aveiro, known as the little Venice of Portugal. Ride several fishing villages, one of which is the town of Torreira. Continuing our way see the famous natural reserve of S. Jacinto dunes where you can observe several species of birds (bird watching). To accomplish the crossing to Aveiro, make the passage via Ferry Boat. Arrive at the famous city of Aveiro can visit the Monastery of Jesus, observe the tiles from the train station and make a boat tour of the Ria de Aveiro. On this route of 48km, you shall know the city of Ílhavo, famous for the manufacture of porcelain Vista Alegre with over 200 years of tradition as well, you can observe the fantastic scenery of the famous Costa Nova do Prado where the beaches are intertwined with the rural, creating a unique environment where is the opportunity to view the famous haystack houses on the waterfront, easily recognized by the paintings on vertical colored bands. Route towards the city of Figueira da Foz, you will be pleased to know the hidden and beautiful the lagoon barrinha also “fed” by the Ria de Aveiro. The adventure follows the famous pine forest inserted in the dunes, where the aroma of the trees combines with the sea breeze, quite exploited by sailing boats and windsurfing. Coming finally to the “Queen of the Silver Coast,” Figueira da Foz, famous for its long beaches, where the beautiful River Mondego flows. Finally, towards Coimbra, move away from the seaside resort frequented by “Coimbrenses” and the Spanish population of the area of Extremadura. In this path of 55km, let us go away from the coast, yet always accompanied by the Mondego River, with headwaters in the highest point of continental Portugal (Serra da Estrela), renowned for its purity and transparency, the scenery will be motivating to get to town Coimbra. Despite the famous fado “… Coimbra has more charm in the time to say goodbye …”, you will enjoy the cultural potential to the full, the endless monuments, full of nostalgic fado houses and “knowledge”, imbued in the university environment where cultivation teaching as most any place in Portugal. Sign Up For The Silver Coast Bike Tour Now! 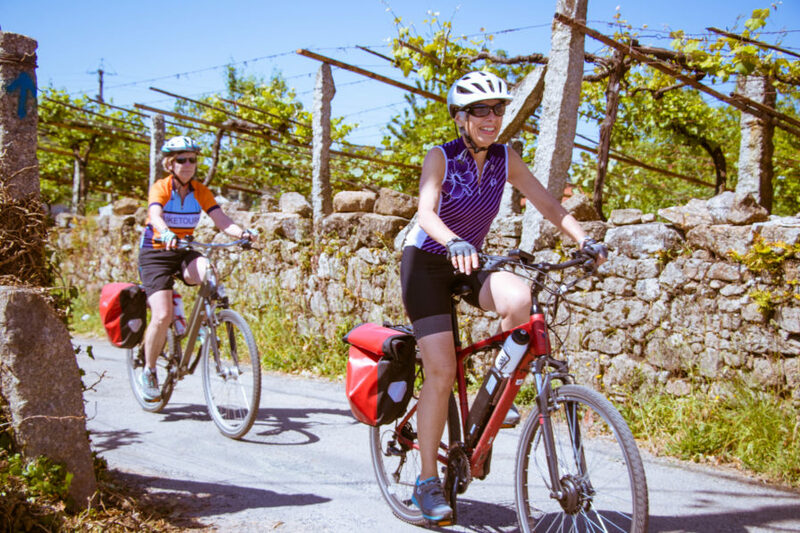 If this looks like a bike tour you might enjoy, please use the form on this page to contact me (Darren Alff) about signing up for The Silver Coast Bike Tour with Top Bike Tours Portugal. Or contact the Top bike Tours Portugal tour company directly and tell them you want to participate in The Silver Coast Bike Tour with Bicycle Touring Pro in September of 2019. If you have any questions or concerns about participating in this bike tour, feel free to send me a message or contact me through any of Bicycle Touring Pro’s various social media accounts; Facebook, Instagram, YouTube, Snapchat, etc. Thanks so much for your interest in The Silver Coast Bike Tour… and I look forward to traveling with you in Portugal this coming September, 2019! * Please note that the photos shown on this page are from my previous bike tour in Portugal with Top Bike Tours Portugal – The Way of St. James Bike Tour. The photos shown here are NOT from The Silver Coast Bike Tour with Top Bike Tours Portugal. The images used here are only meant to give you a sense of what it might be like to go bicycle touring in Portugal this September, 2019. This entry was posted in Bicycle Touring Pro Articles, Europe, Featured Articles, Main Articles, Main Featured Articles, Portugal, Uncategorized and tagged bike tour, bike tours portugal, cycling portugal, fold n' visit, group bike tour, guided bike tour, join the bicycle touring pro, lisbon, porto, portugal, portugal bike tour, Santiago de Compostela. I’d like to participate. What is the cost? I’m so happy to hear you are interested in joining the tour. All the details on the trip can be found right here: https://www.topbiketoursportugal.com/porto-to-coimbra-biketour including the cost of the trip, etc. If you have any other questions or you are interested in joining the Silver Coast Bike Tour in Portugal with me this September, please contact Sergio at Top Bike Tours Portugal directly: https://www.topbiketoursportugal.com/contacts He is the one organizing this bike tour and he is the best person to speak with you if you have any questions or concerns. I hope you’ll consider joining the tour! It would be great to meet you and cycle with you in Portugal this September.